A group of ordinary St. Louis citizens is engaged in a grass roots effort to promote St. Louis as a World Class City. If St. Louis City and St. Louis County were considered one entity, it would be the equivalent in population to the 8th largest city in the USA! 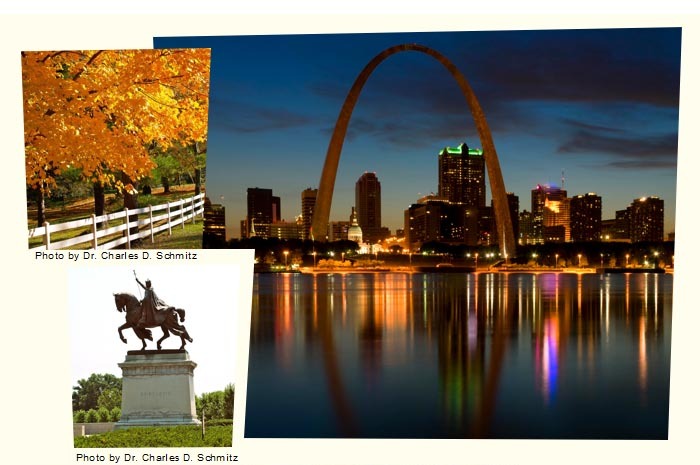 The Mission of STL--World Class City is to lay the foundation for St. Louis County to extend its boundaries to include St. Louis City no later than the 250th Anniversary of the City in 2014, and thus become the 92nd municipality in St. Louis County. We are also committed to a "statistical reclassification" of our community so that statistical information about "St. Louis" reflects the broader community (St. Louis City and County combined; St. Louis Combined Metropolitan Statistical Area) and in so doing reflects a far fairer way of portraying the quality of life in our community. And finally, we are committed to doing a better job of promoting the very high quality of life in the St. Louis region to ourselves and to the outside world. Where we live is second to none and we need to help others learn about all of the wonderful assets in our town -- St. Louis! A serious regional, non-partisan conversation will be established by wide-spread communication to residents in the City and County regarding the advantages of re-entry and to accomplish the legal steps necessary for re-entry. We are all St. Louisians! It is time we started acting like it! We need volunteers with expertise on a variety of fronts. We Need You! go here. And for tickets to any live St. Louis theater, game or concert, go here. Where does Saint Louis Rank on quality of life indicators? Saint Louis is the 18th most populated metropolitan statistical area in the USA but ranks a very low 103rd in crime!